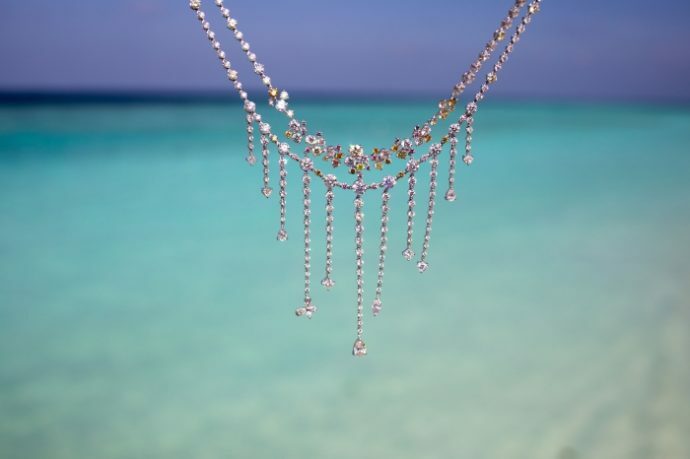 Soneva has announced an exclusive private sale of two collections of KODERA jewellery by Tomoko Kodera, at the world-leading luxury resort operator’s two properties in Maldives. 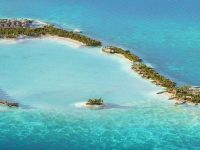 Soneva Fushi will host the sale from now through May 2020, followed by Soneva Jani from April to November 2019. Soneva resorts will be carrying the Shooting Star and Spring collections. These two collections were inspired by Tomoko’s previous stay at the Soneva Fushi. The Shooting Star collection, considered one of her most characteristic, has constellations manifest themselves in unexpected, dazzling arrays of diamonds peeking out from behind an ear or between fingers. The Spring collection features bold yet feminine pieces, some of which sway with the movement of the wearer — mimicking flowers and foliage in the wind. Items in these collections include rings, earrings, necklaces, chokers, and bangles in 18k yellow gold, 18k white gold and platinum. The jewellery centres around diamonds, with GIA certificates accompanying select pieces that have stones of approximately one carat and bigger. Out of the 45 pieces, there are also two pieces containing coloured plenite and peridot. Tomoko is a multiple-award winning designer who launched her first collection, the Tomoko Kodera Collection, in 1996. Her work received international acclaim in 2015 when she became the first Japanese designer to win first prize in the prestigious Diamond Jewellery Competition in Antwerp, Belgium. She is known to bend the rules when it comes to design, and is personally involved throughout the entire process from selecting the diamonds up to the manufacturing stage. Tomoko believes that it is important to distinguish diamonds by their individual brightness, outside of the 4Cs (clarity, cut, carat and colour). Kashikey Co. Ltd., owner of the TOMOKO KODERA brand, is one of the leading diamond dealers in Japan. Their connections in New York, Antwerp, India, and Israel enable Kashikey Co. Ltd. to select and gather the best quality diamonds from all over the world. Coupled with a skilled team of craftsmen using the leading technologies in the industry, makes KODERA jewellery a truly bespoke brand. KODERA Jewellery has up until now been exclusively sold in Japan. Tomoko’s jewellery is known for hugging the curves of the body and flattering the figure. Soneva runs two resorts in the Maldives, Soneva Fushi and Soneva Jani. Sixty-two private villas with their own stretch of beach are hidden among dense foliage within touching distance of a pristine coral reef. Intuitive service is provided by Mr./Ms. Friday butlers. 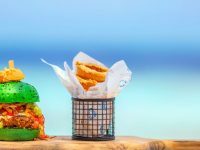 Highlights include the open-air Cinema Paradiso, counting Saturn’s rings in the high-tech Observatory, the home-made chocolate and ice cream rooms, five hundred wines to choose from, six different restaurants and countless destination dining options. In November 2015, Soneva launched a floating villa concept, Soneva in Aqua, a treasure trove children’s Den and a multi-purpose facility encompasses a glass gallery, boutique and studio where guests can learn the art of glass blowing. Opened in December 2016, Soneva Jani is Soneva’s newest property and the world-leading luxury hotel group’s second resort in the Maldives. Soneva Jani is located on the island of Medhufaru within a 5.6 kilometre lagoon in the Noonu atoll, and has uninterrupted ocean views in all directions. 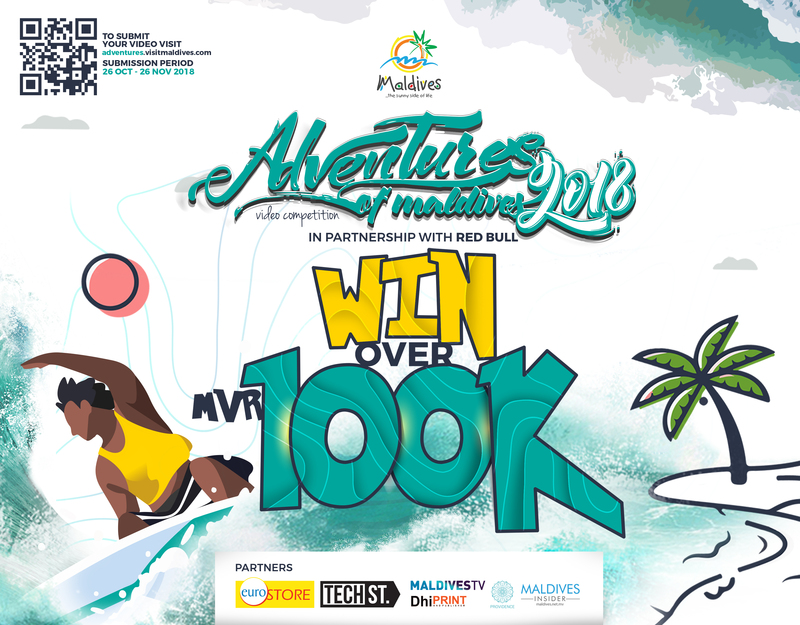 The lagoon is 35 minutes by seaplane from Velana International Airport and one hour by speedboat from Soneva Fushi. 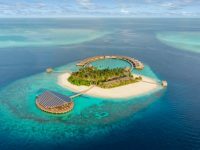 Meaning ‘wisdom’ in Sanskrit, Soneva Jani currently comprises 24 overwater villas and one island villa, with additional villas to be built in phase two. Five islands encircle the lagoon, each one with soft white sands and covered in rich tropical vegetation. 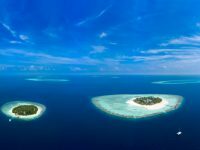 Four of the five islands will remain untouched, making Soneva Jani the lowest density development in the Maldives. The overwater villas are spaced across the expansive lagoon, offering privacy and extensive views over the Maldives’ turquoise waters. The island villas will be tucked into the lush greenery, providing the ultimate privacy, and all within steps of the beach. Soneva Jani’s main guest facilities are located at The Gathering, the heart of the overwater villas. This dramatic three story structure is home to the main dining outlets, in addition to the Soneva Spa, library, retail area and wine cellar. It is located next to the Maldives’ first overwater Observatory. 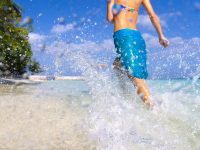 Facilities on the island include the overwater Cinema Paradiso, the Eco Centro Waste-to-Wealth centre, organic gardens, tennis courts, water sports champa and Zuhair’s Beach on a desert island in the lagoon.